Thirteen days before Christmas, he struck with his evil plan. No cheer or love for the gays and lesbians of his land. 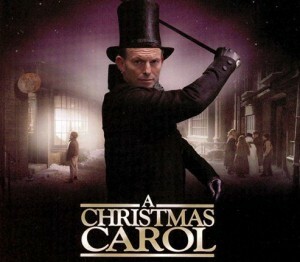 Tony Abbott in the role he was born to play. And while he has disregard for the Great Barrier Reef, or simple diplomacy when addressing serious allegations from a neighbouring country, many here in Australia were made to feel like second class citizens yesterday. For a brief moment in history, all were equal, at least in Canberra. But when you have an opposition leader who could never come up with a policy idea before he was voted in, what else can you expect but a Prime Minister who yields the same attack mode he displayed during the election campaign. But without an opposition to belt with boxing gloves, it’s time to declare war on education, the ABC, and those pesky homosexuals who thought they were equal. Oh yes, and those boats. Don’t forget about those inconvenient refugees in boats that don’t get reported on any more, but still show up on our shores anyway. So raise your glass to Christmas 2013. No Marriage Equality to be seen! And while Abbott’s un-Christian campaign was fought with taxpayer’s funds, it may be a pattern to how else our money might be used against our wishes. It’s all Tony’s agenda, not the agenda of the Australian people. I can just hear those authorities in Russia, ringing our PM and congratulating him on his homophobic stance. My heart sank yesterday. My human rights came under attack. What other dark-age campaign will he wage? Will he challenge Evolution in the courts? Will women lose the right to vote? Will aboriginal folk become flora and fauna again? Will history books be made to say the world is flat? Some things still make you wonder if we live in the 21st Century. Hold on, the National Broadband Network has been scrapped. I don’t need to wonder any more.